Winter months and everywhere in the Chinese world people gather around the hotpot. This has become the must-have dish during cold and wintery days around this time, and a must-have for reunion dinners. But in sunny Singapore, hotpot lunch/dinner are popular as well. Family gathered around the steaming pot of stock, perspiring and sharing morsels of delicacies cooked to one’s liking – the perfect picture of a happy family as far as I can remember. In recent years, gourmet hotpot restaurants have bloomed around Singapore. Before you only have the garden variety of fish-head hotpot Teochew-style, or the all-you-can-eat steamboat buffet. 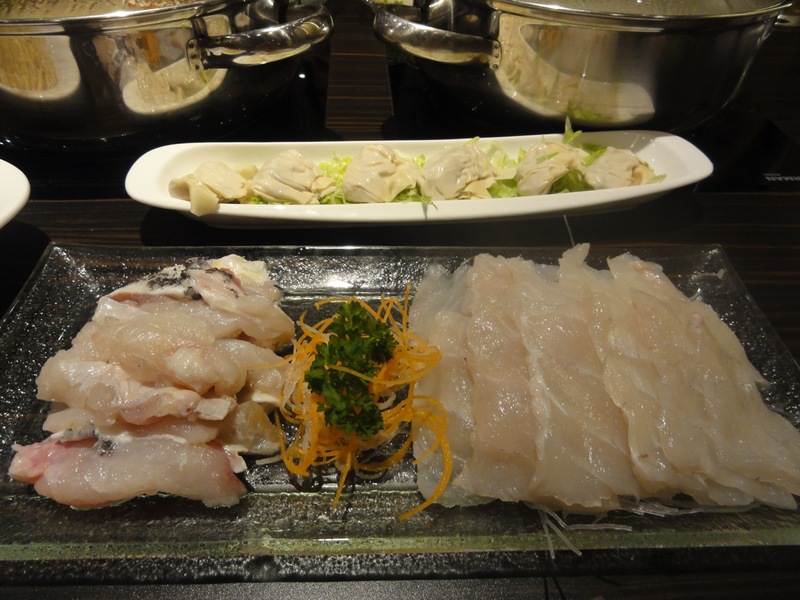 Nowadays you can have different choices – Szechuan hotpot, Cantonese seafood hotpot, Japanese shabu-shabu, and all other forms are available. Imperial Treasures has scored well in the gourmet scene in recent time, and now they have got themselves into hot soup. 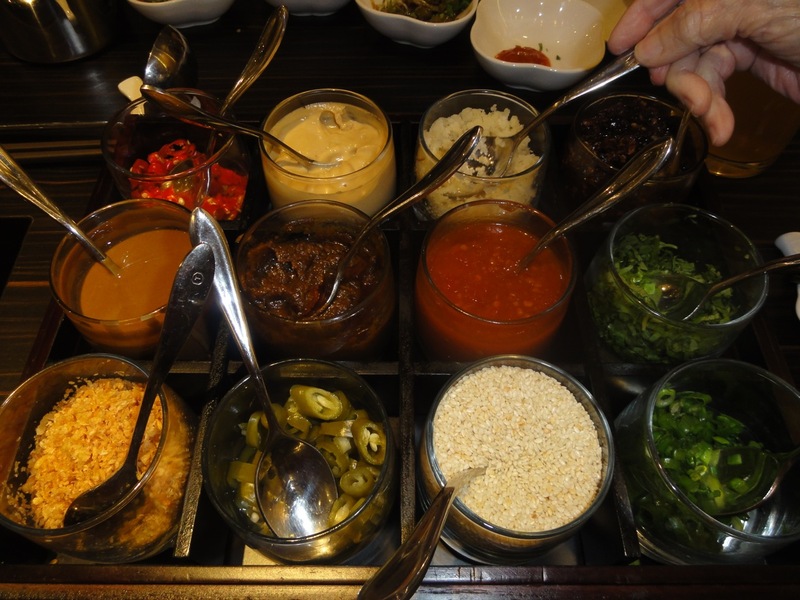 First you choose the condiments. Unlike most other places (where you pick from an open area), here you pick from a tray brought to you. Good and hygenic, and prevent wastage. But the choices were not as varied as I though it would be – no leeks, no 沙茶醬, no sesame oil. The choices of soup based were varied, but mainly Cantonese style stock, with the exception of the Szechuan Ma-La Soup. We chose a Ginseng Chicken-based stock and a Chinese Celery Fish soup that was popular in HK. For one the ginseng soup has little ginseng taste. but the celery soup was quite savoury. Of all the ingredients available (chicken, pork, beef, lamb, fish), you get some rarities like good intestines, fish maws and live seafood. The waygu-beef was a disappointment, so was the kurabuta pork. We ordered a portion of Giant Grouper, which typically were 30kg upwards. They were fresh, with thick gelatin. All in all, a decent hotpot place. Ambiance was good (we were put in a private room) and things were present in a sanitary and appetizing way – very important in hotpot. Service was a bit tart, as we are in a room, so the waitresses were not responsive to our requests.